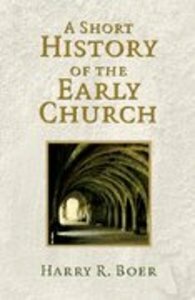 For readers wanting a brief yet reliable introduction to the history of the early church, this volume furnishes a concise overview of the key events, figures, controversies, and councils essential for a proper understanding of the first seven centuries of the church. 184 pages, from Eerdmans. - Publisher A lucid and concise account of the peole, places, institutions, events, and ideas that made a difference in the development of the Christian faith. Discussion questions following each chapter aid the reader in reflection and rview. About "A Short History of the Early Church"
A lucid and concise account of the peole, places, institutions, events, and ideas that made a difference in the development of the Christian faith. Discussion questions following each chapter aid the reader in reflection and rview.